The Jive CTI widget does not work like a soft phone. 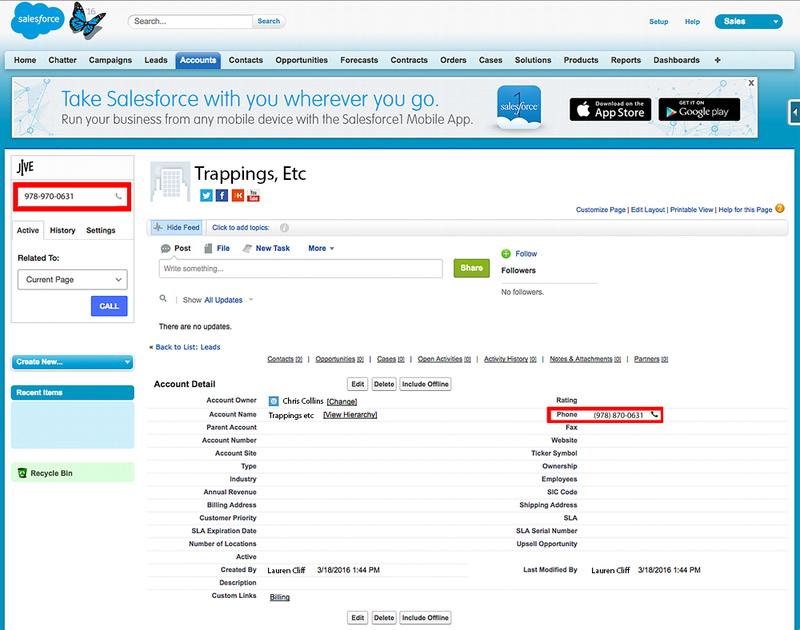 When you initiate a call from Salesforce, it first sends the call to your Jive phone, waits for you to pick it up, and then finally completes the call to the outbound number. Click [Dial] to initiate the call from your phone.